While the Cape Fear area is brimming with attractions that span from the historic Civil War Fort Fisher to the chic downtown streets of Wilmington, the small beach town of Wrightsville Beach has its own allures to attract visitors of all interests. With unique public parks and pathways, cool local museums, and ample ways to have fun on the water, there’s more than meets the eye when it comes to fun destinations in this popular beach community. 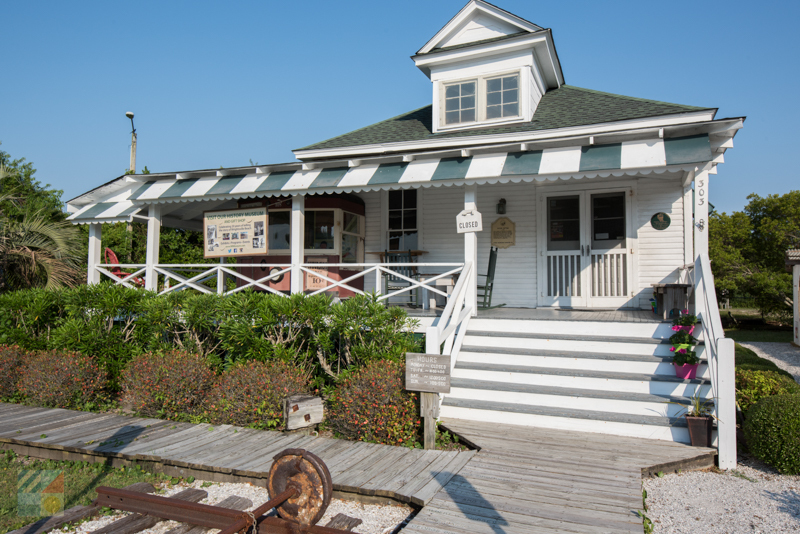 The Wrightsville Beach Museum of History outlines the more than 100-year-old history of this coastal vacation destination through an intricate collection of displays, memorabilia, and cool seasonal exhibits. Housed within an original but beautifully restored early 1900s beach house, this museum features replica rooms that highlight what a beach cottage looked like decades ago, as well as unique exhibits on the town’s deadly hurricane encounters, the original Lumina Pavilion which first attracted visitors in the 1920s and 30s, and unique installments which includes authentic bathing suits, postcards, and artifacts from Wrightsville Beach’s legendary surfing scene. The museum is open year-round, and with regularly changing exhibits, every visit presents an opportunity to learn something new about this vacation hot spot that’s been going strong for more than a century. 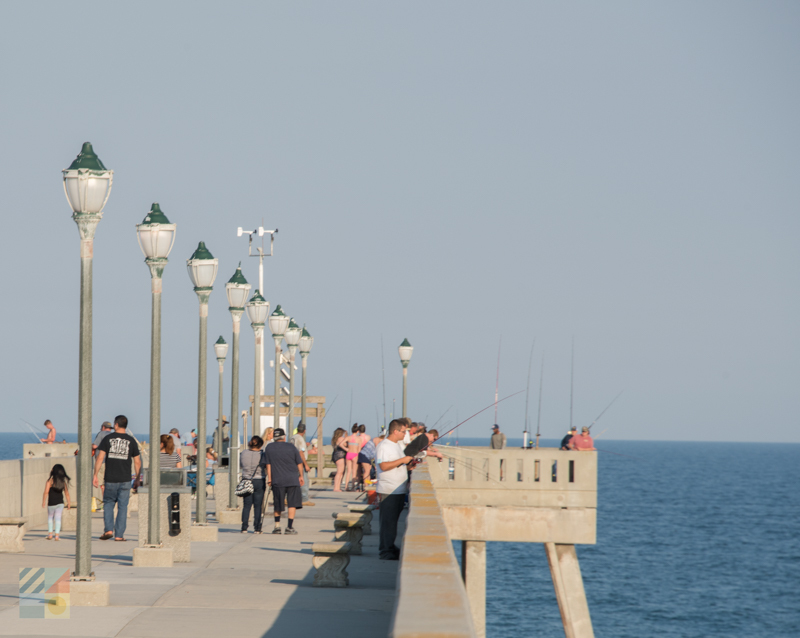 Johnnie Mercer's Pier has a claim to fame as the only concrete fishing pier in the state of North Carolina, and it also reigns supreme as one of the longest fishing piers in the Cape Fear region, thanks to a locale that extends more than 1,200’ ft. into the Atlantic Ocean. The pier was originally built in the 1930s, but had to be rebuilt after Hurricane Fran and Bertha’s one-two punch to the local coastline. Officially “reopened” in 2002, today the pier features an on-site grill for easy meals, a bait and tackle shop, and ample elbow room for a great day of fishing. Anglers are welcome at the pier, but everyday sightseers will be delighted to find that they can feel free to stroll the pier as well, as Johnnie Mercer's Pier is one of the few fishing piers along the regional coastline that does not charge a fee for everyday sightseers. Take a stroll in the evenings for an incredible view of the town which extends from Shell Island all the way to southern Wrightsville Beach, and enjoy local photo ops at their best. 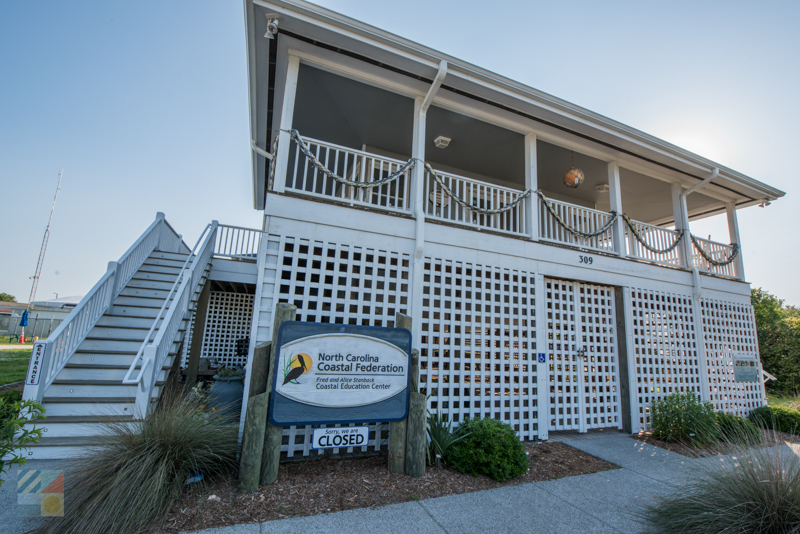 The stately Fred and Alice Stanback Coastal Education Center is a hub for coastal education for the North Carolina Coastal Federation – an established nonprofit organization that has been around for more than 35 years. The Education Center is housed within the historic 1946 Palmgren-O'Quinn cottage, and offers a host of unique learning experiences for kids and adults alike via a full roster of popular educational programs. Activities that are regularly offered at the center for the general public include Tuesday “Touch Tank” presentations, where visitors can get their hands on local sea life, “Around the Scenes” tours which pay visits to local rain gardens, salt marshes, and other regions of interest, and regular Coastal Living Speaker Series. With “outdoor classrooms” and a line-up of activities and programs that paint Wrightsville Beach in a natural light, there’s always something unique, fun and educational on the calendar at the Fred and Alice Stanback Coastal Education Center. Visitors who want to have a little outdoor fun off the sand will want to take a trip to the Wrightsville Beach Park – an extensive public complex that’s a breath of fresh air for active visitors. The extensive park which is found on the borders of the Wrightsville Beach Causeway features two outdoor basketball courts, three sand volleyball pits, four tennis courts, a softball field, and an open area for pick-up games like soccer, kickball, or flag football. A brand new all-inclusive playground that’s accessible for children of all ages and abilities is also found on-site, as well as a small Arboretum which is a perfect spot to scope out the local flora and fauna while enjoying a break from the action. 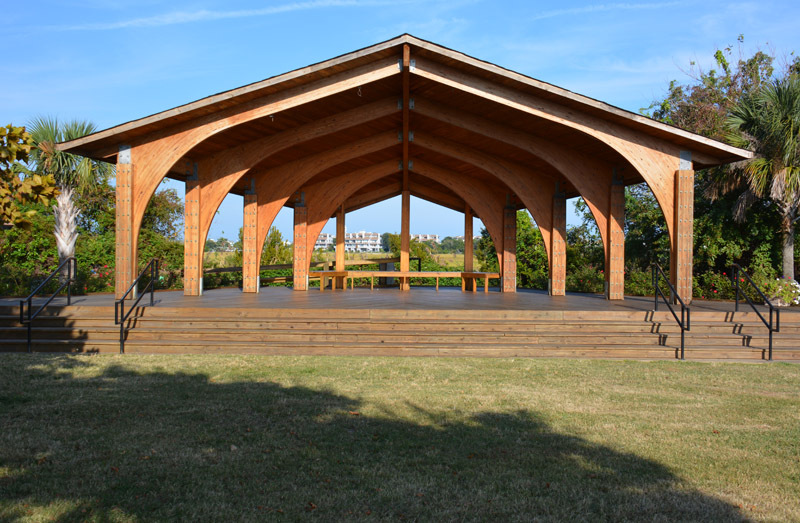 With so much to do, as well as regular events such as weekly outdoor movie nights in the summertime, the Wrightsville Beach Park promises miles of good times off the beach. 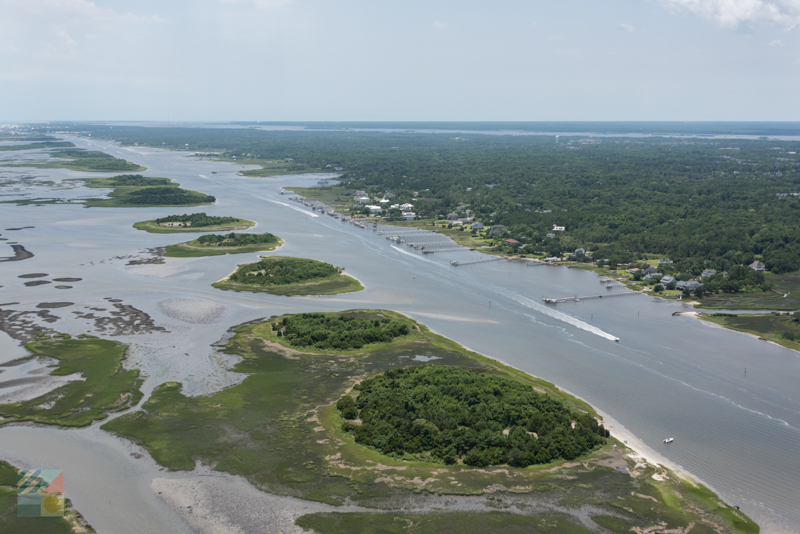 Plan an adventure to one of the most unique island destinations in the region with a boat tour, water taxi, or a cruise to neighboring Mansonboro Island Coastal Estuarine Reserve. Mansonboro Island Reserve is a pure and completely undeveloped island that features more than 5,600 acres of beaches, salt marshes, and tidal flats, and which has exceptional birdwatching, shelling, and wildlife watching opportunities. A number of local boat tour and cruise companies offer tours to this island for a myriad of different adventures, including shelling expeditions, dolphin watching, and even pirate encounters. Once on the island, visitors will enjoy roughly 8.4 miles of shoreline virtually all to themselves, where the local water, waves and isolated beaches present the perfect coastal scene. Only accessible by boat, (but with ample opportunities to “catch a ride” from local Wrightsville Beach tour companies), a day trip to Mansonboro Island Reserve is a must for any visitor who craves an isolated and natural beach scene. Visitors who want to enjoy the local waters will have an easy time reaching the great blue open via the massive and popular Wrightsville Beach Boat Ramp. This extensive boat launching area which is managed by the North Carolina Wildlife Resources Commission has free parking for roughly 70 vehicles, as well as five launching lanes that can accommodate vessels of all sizes. Connecting directly with the Intracoastal Waterway, from this launching point, visitors can explore the soundside waters, the marshy channels that are perfect for kayaks and canoes, and even the exceptional fishing grounds of Masonboro Inlet, which is located just three miles away. A great spot for mariners, fishermen, kayakers, and stand up paddle boarders, this convenient boat launch and sightseeing spot on the edge of the Causeway is easily one of the most popular boat launches in the Cape Fear region. Just be sure and get there early – on beautiful summer weekends, the parking at this site can fill up fast. Visitors who love the beach scene but who prefer a quieter setting will want to head north to the edge of Wrightsville Beach and the shoreline that borders Shell Island. Also known as simply the “North End” in some local circles, this stretch of shoreline veers from the edge of Shell Island Resort all the way to the northern Wrightsville Inlet, presenting plenty of relatively quiet and undeveloped beaches along the way. Enjoy a little birdwatching at the Audubon’s Mason Inlet Waterbird Management Area, sample the great shelling in this region, and be sure and spend a couple minutes dropping a letter in the famed Wrightsville Beach Mailbox – which is found in the heart of this isolated stretch of shoreline, and which has been attracting naturalist romantics for years. Thanks to this shoreline’s remote locale, it’s easy to enjoy a scenic and simplified adventure along the shoreline any time of the year. The John Nesbitt Loop, also known as simply “The Loop,” is a scenic 2.45-mile circuit sidewalk course that is an attractive destination for active locals and visitors alike. 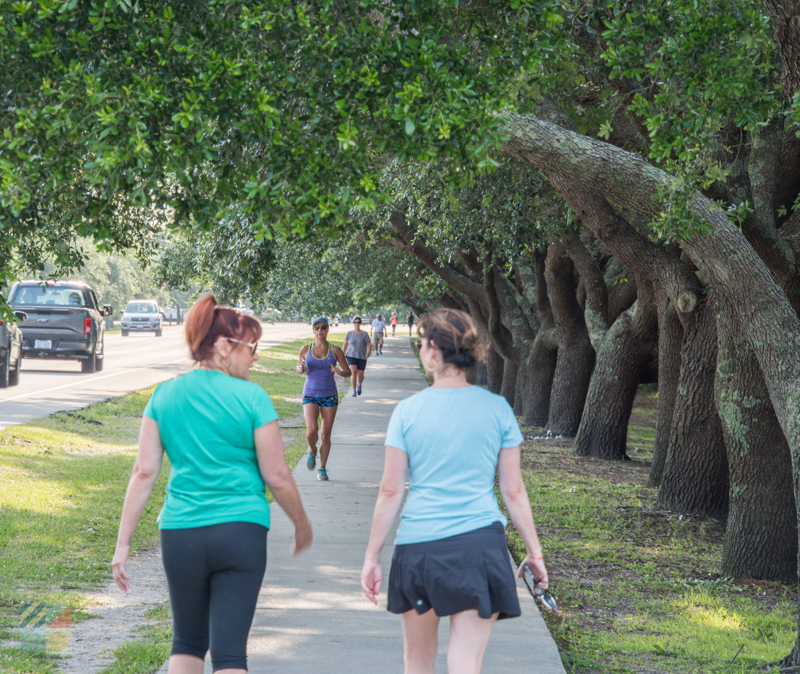 Popular with walkers, joggers, runners, and their furry sidekicks, the “loop” encircles a portion of the Intracoastal Waterway and follows Salisbury Street and Causeway Drive as it veers past the Banks Channel as well as other local attractions like the Wrightsville Beach Park and Harbor Island. Pet-loving vacationers will definitely want to hit the trail, as the loop features several doggy fountains along the way, as well as drinking water for human explorers and benches to relax a while and enjoy the view. With ample vantage points for sightseeing throughout, The Loop is a great destination to enjoy the scenery and the salt air that’s found just off the beach. 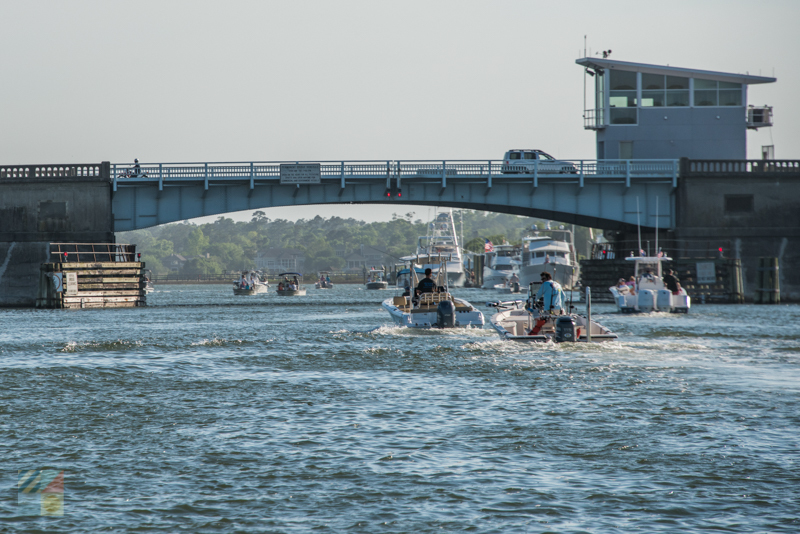 The Intracoastal Waterway (ICW) attracts mariners from all over the East Coast and even the world, and Wrightsville Beach visitors will find plenty of ways to join in the fun and explore the brilliant open water views. Several marinas in the area offer boat tours, cruises, and even boat rentals (including pontoon boats, skiffs and jet skis), for visitors who want to explore on their own, and the relatively calm waters are also ideal for paddlers as well. Visitors who want a less adventurous way of exploring the scene can also plan a night out at one of four waterfront restaurants in the area, which offer spellbinding vistas, or can just book a vacation rental home or condo on the edge of the water to continually watch the maritime traffic roll by. 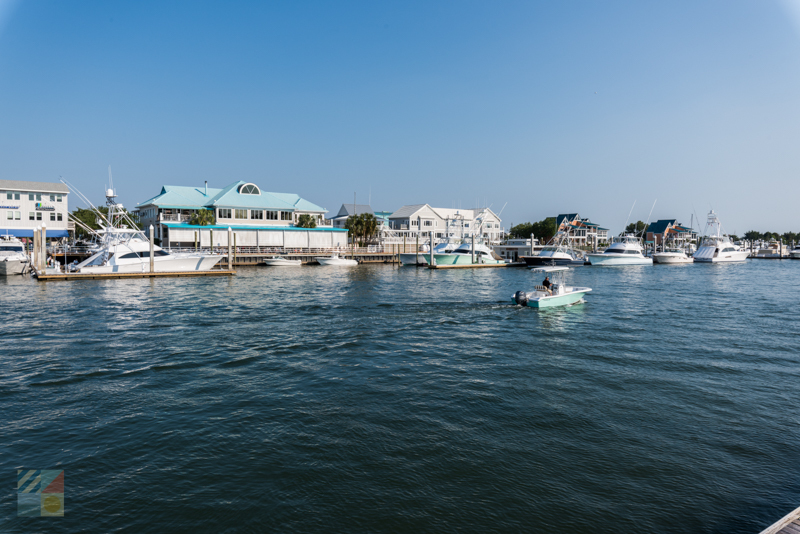 With a myriad of ways to enjoy Wrightsville Beach’s second biggest “blue” attraction, a visit to the ICW is a must for water loving vacationers. No list of Wrightsville Beach attractions is complete without mentioning the single biggest draw for visitors throughout the decades – the Wrightsville Beach oceanfront shoreline. 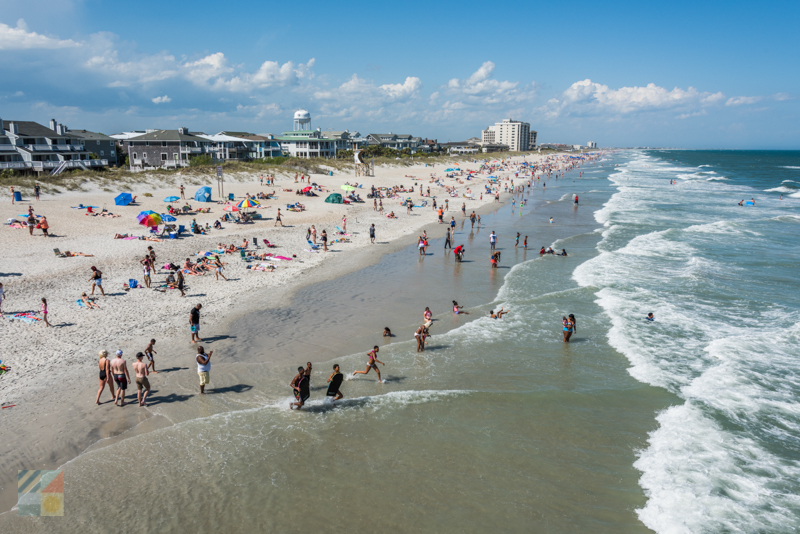 Beach access points are located throughout the town, and Wrightsville Beach is also home to a number of seasonally lifeguarded beaches (typically from Memorial Day to Labor Day), hot surf spots, and everything in between. 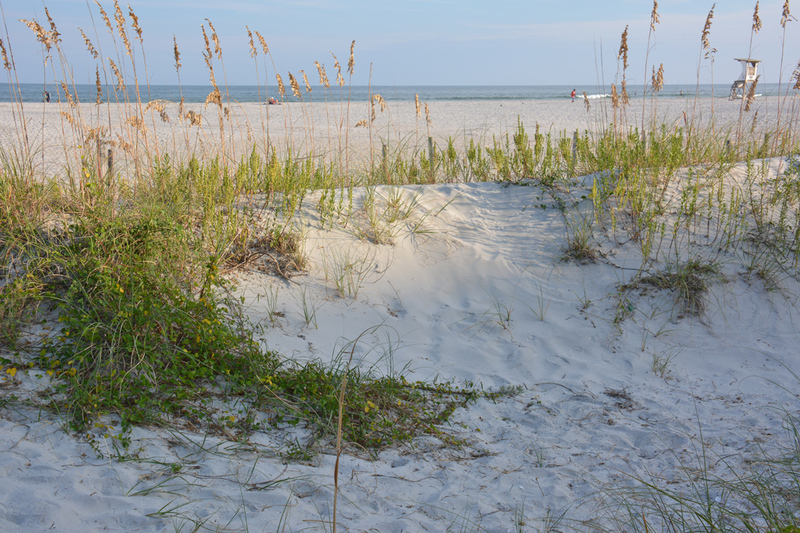 Find a parking spot at one of the metered street-side spaces or parking lots, and get ready for a full day of fun in the sun at this coastal destination that boasts nicely wide shorelines and ample ways to splash around. Especially popular with surfers and watersports fans, (and home to several famed SUP and surfing tournaments), the Wrightsville Beach shoreline is a sprawling and natural attraction that deserves its own distinction. From cool public parks and museums to attractions that border the Atlantic Ocean, Wrightsville Beach is a hopping Mecca for coastal fans of all varieties. Enjoy a vacation that’s filled with incredible views, wildlife watching, on-the-water adventures, and a touch of local history, and discover all the reasons why Wrightsville Beach visitors keep coming back, year after year.